Economic development initiatives and facilitations are effective and sustainable only if these initiatives are aligned with business principles. ECCA believes in global compact’s three bottom lines of sustainable development viz: planet, people and profit. ECCA has multidisciplinary approaches and has manifested the concept of Enterprise Development, Corporate Social Responsibility and Multi-sector Partnerships for the development related works. ECCA has internalized the need of commercial orientation in development related works which is intertwined in its projects. As part of its entrepreneurial drive, ECCA facilitates development and implementation of commercially viable projects and entrepreneurial initiatives. Creation and promotion of social enterprise has also been one of the engagement sectors in its conservation based programs and activities. ECCA has been promoting CSR through different forums and networks. 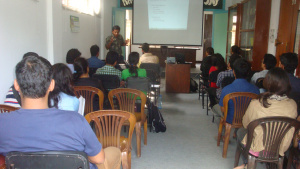 Since 1st January 2008, ECCA has been backstopping Socially Responsible Business Development Network (SRBDN), a multi-stakeholder forum established in the year 2004 to create awareness on CSR in Nepal through discussion forums on different responsible issues. 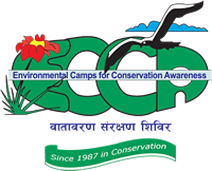 ECCA is one of the proactive members of United Nation’s Global Compact Local Network - Nepal (UNGCLN-N) and represents in the steering committee, since the network’s inception. 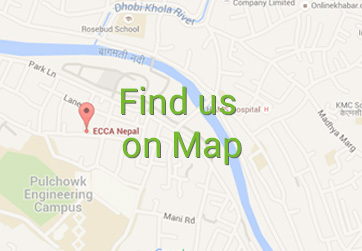 ECCA actively participates and timely organizes different CSR based events and programmes. One of the approaches of ECCA for development related works is Partnership development. To overcome the perceptible gap amongst the private and the NGO sectors, ECCA has internalized the need of multi sector partnership. ECCA has been acting as a facilitator to create a win-win situation between two sectors. Perception study of private sectors in different pertinent social and environmental aspects based upon the principle of Public Private Partnership (PPP) is being carried out by ECCA as per the need.